This book by Dr. Stephen Meyer has elicited a lot of insults from its critics, but not much reasoned response. Nearly two years ago, I wrote a review of double-doctor Alister McGrath’s book Why God Won’t Go Away. It ends with an amusing anecdote about a young man who meets Dr. McGrath and asks him to sign one of his theology books. The young man tells Dr. McGrath that he has Richard Dawkins to thank for his conversion to Christianity. He had read Dawkins’s The God Delusion and thought it was so unfair and one-sided that he had to look at the other side. When he did, he become convinced of the reality of Christianity. While one might pass this off as an isolated incident, it’s not clear that’s the case. Not long ago, I blogged about another person who was raised Catholic but became an agnostic in her teens. She read The God Delusion and similar works, thinking it would drive her to atheism. Once she read Dawkins and his fellow New Atheists, however, she read authors on the other side of the debate. In comparison, she found the arguments of Dawkins and his ilk intellectually deficient, so she returned to her Catholic faith. Note what happened in both of these cases. Each person decided to look at both sides of the issue. They looked at the arguments of those who claimed there is no God, and they looked at the arguments of those who claimed there is a God. Both decided that those who argued against the existence of God had a significantly weaker position. As a result, they ended up believing in God. But what makes the arguments of the New Atheists so weak? It’s not just that they have little evidence to back up their claims. It’s more than that. I think one of the reasons their arguments are so weak is that they try to make up for their lack of evidence with insults and bluster. Somehow, they think they are making their case stronger, but to most reasonable people, it has the opposite effect. A few days ago, I ran across a story that makes this very point. The problem is that when Meyer says things like, “the Precambrian fossil record simply does not document the gradual emergence of the crucial distinguishing characteristics of the Cambrian animals,” how on earth should I know if he’s right? I don’t have time to immerse myself in paleontology. I’ll never be an expert. I just have four hundred pages of articulate, self-assured, well-documented evidence for Meyer’s case. So here’s how I find my way into a conversation on subjects that are not my primary field of study. I read the reviews that are antagonistic to the source and just look at the logic that’s employed. I find that this often gives me the best read on a work. If the critics are sincere, the reviews are usually precise. So now I’ve changed my mind. I don’t think the fossil evidence does support the current representation of Darwinism. I think there are some otherwise well-trained scientists who are freaking out, and doing it in widely public and observable ways. Their lack of command of reason is a tell-tale sign that their motives for defending their orthodoxy are not scientific. And I believe the failure of the scientific communities to engage in this conversation in a rational way is a manifestation of power brokering rather than honest intellectual engagement. I think he is exactly right. Those who want to promote unguided, naturalistic evolution aren’t engaging their critics with reasoned arguments. Instead, they think insults will get the job done, and that speaks volumes for the soundness of their position. Thank you for writing the original piece, Pastor Jim! I had the opposite experience. I was a Christian until I saw the evidence for evolution. I was shocked at what was actually out there. I always thought it was a “theory”. Fossils, Junk DNA, genetics all confirm evolution. I started to look elsewhere to affirm the faith and I found more questions than answers about the reliability of the bible, free will, morality, miracles etc. In the end, I couldn’t hold on to it anymore. Does atheism have all the answers? No, it doesn’t but neither does Christianity. The more you examine the evidence, the more you will see that it does not support evolution. You should also look more closely at the evidence regarding the reliability of the bible. There are many excellent resources on this subject, but I would suggest starting with Jesus and the Eyewitnesses. Thanks for the response, Dr. Wile. Most of those links were from creationists or IDists which I don’t really trust. I mean no disrespect to you. I’m a layman when it comes to this sort of thing and I have tried reading both sides. I found it hard to know what’s right and who to believe. I came to the conlclusion that science is generally about the pursuit of truth. If evolution is wrong then mainstream science wouldn’t being teaching it. It would be teaching creationism if the evidence strongly supported it. I can’t believe that there is some evil atheist conspiracy out there trying to get rid of God. I can believe that there are creationists who are trying to keep their bible though and see everything through it wether right or wrong. If an old universe and evolution were being taught to get rid of God then ALL the Christian scientists out there would be crying foul of the mainstream stuff. People like Hugh Ross and Francis Collins accept alot of this and I don’t buy the Ken Ham idea that they are just saying it so they can be respected by the atheist scientists. That would mean that the consiracy has reached absurd proportions. I know that science makes mistakes but it eventually corrects itself. I suppose I will stop believing in evolution when they stop teaching it in schools. Also since Jesus and Paul seemed to support the Genesis account, I can only assume that they were wrong which means that Jesus wasn’t who he claimed to be. If Genesis is wrong then the rest of the bible must be too. Luis, you say it was the evidence for evolution that convinced you of its merits. However, if you refuse to read sources because you don’t like them, you aren’t really looking at the evidence, are you? In fact, that’s the whole point of my post. You have to look at all sides of an argument if you want to judge it in a rational way. By dismissing arguments because you don’t trust their sources, you aren’t being rational in your pursuit of truth! You say, “If evolution is wrong then mainstream science wouldn’t being teaching it.” However, mainstream science has taught all sorts of wrong things throughout its history. For example, mainstream science taught that quasicrystals can’t exist. However, they have been shown to exist. Mainstream science taught (and sometimes still teaches) that human DNA and chimpanzee DNA are 99% similar, but we know that’s just not true. In addition, there is recognized fraud in science. Thus, to trust something simply because it is taught by mainstream science is not a very rational thing to do. You say, “I will stop believing in evolution when they stop teaching it in schools.” So does that mean you still believe that ancient people thought the earth was flat? This is taught in schools, but we know it is demonstrably false. Are you going to believe that dinosaurs did not live when grasses were around? That is taught in schools, but it is demonstrably false. Once again, believing something because it is taught in schools is not a very rational approach to the pursuit of truth. You say, “If Genesis is wrong then the rest of the bible must be too.” However, that isn’t very reasonable, either. First, you admit that you don’t know who to believe when it comes to origins. Thus, you can’t really say that Genesis is wrong. You admit that you don’t know, and you don’t seem to want to find out who is telling the truth, because you seem unwilling to investigate the other side of the origins debate. Also, even if evolution is true, that doesn’t mean Genesis is wrong. It simply means that the first few chapters of Genesis are not historical accounts. Throughout the history of Christendom and Judaism, there have been many who have thought that (see here, here, and here, for example). This is, of course, why so many committed evolutionists, such as Dr. Francis Collins, are devout Christians. I know what you’re saying but I did try to read from both sides. I’ve read more stuff from the IDist camp than anything else but I just don’t understand it all. I see that there is alot of dismissal of IDists and creationists so I have to believe there is a reason for that and it can’t just be “We don’t want a God”. Also, you had mentioned in previous comments that the majority of the church veiwed Genesis as literal in medeival times. The scholars that you mention seemed to be the minority view. Why wasn’t Genesis dispelled altogether when science proved it to be false? I think it was because they didn’t want to let go of their faith and admit it was wrong so they just changed it to a metaphorical reading which can apply to any creation myth. It’s unfalsifiable. Why has the literal reading made a come back? I think the people of Biologos are mistaken to think that they can see Genesis that way and still believe in God. How can one think that Jesus died for our sins when the whole Adam, Eve and the fall was just a story? Things like the flat earth are not taught in the mainstream curriculum but in cultist, fundamentalist schools. It’s not really the same thing. I don’t think you got the point of this article, Luis. You say that there is a lot of dismissal of IDists and creationists out there, and you have to believe there is more to it than “We don’t want a God.” However, if you aren’t looking at the evidence, how can you say that? As the pastor mentioned in this article writes, he had a real problem with such dismissals, because they were appalling in their lack of evidence. Dismissals do not an argument make. Evidence is the backbone of an argument, and if you aren’t willing to examine the evidence, you will never come to a rational conclusion. Once again, science has not proved Genesis to be false. You admit that you don’t understand the arguments of the IDists, so how can you know whether or not science has proven Genesis to be false? I agree that those who viewed Genesis figuratively in the first few centuries AD as well as in the Middle Ages were the minority. However, in that time, those who thought air had weight were also in the minority. It turns out that the minority was right in that case. Thus, it could be right in other cases as well. Believing something just because the majority believes it is not a rational thing to do. Have you read what the folks at Biologos say about why Jesus needed to die for our sins even if Adam and Eve didn’t literally exist? You should. They offer several discussions of the subject (here, here, here and here, for example). I am not advocating their position. I am just encouraging you to read what their position is before you dismiss it! I think you misunderstood my point about the flat earth. No school teaches that the earth is flat. Indeed, no one of any repute has ever taught the earth is flat. As the link I gave you shows, even uneducated ancients understood that the earth is a sphere. However, in schools, it’s still taught that the ancients thought the earth was flat, even though we know for a fact that they did not. Are you going to believe that ancients thought the earth was flat just because it is taught in schools? Once again, believing something because it is taught in schools is not a very rational approach. I think the reason that these dismissals are made is because the mainstream find the creationist evidence as lacking and wrong. My impression is that it is pseudoscience and should not be taken as correct. It’s science with a bias and it is done as such. I understand that some scientists, possibly Lyell, sought to prove the creation account as correct and came away with the evidence that it wasn’t. They accepted that. They made a prediction and it failed. There are some who couldn’t handle that and sought to find any hole they could to discredit the findings but it still stands. If we all ignored the science in favor of the bible’s account, we would be believing in false info rather than furthering our knowledge. I can point out several areas in Genesis that conflict with science but I don’t think there is enough space to do that. I would be willing to start an email chat to show you. Luis, if mainstream scientists find the creationist evidence lacking or wrong, they are not providing much evidence to back up their position. Instead, they provide mostly insults and mischaracterizations. For example, you call creationism “pseudoscience,” yet you have not provided one bit of evidence to suggest why. Instead, you admit that you don’t understand the science being presented. How can you evaluate creationism as pseudoscience when you don’t even understand its arguments? Once again, that’s what convinced the pastor in this story that there’s something wrong with evolution. 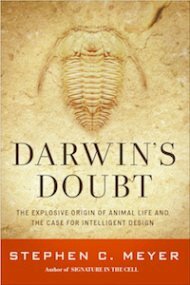 Darwin’s Doubt makes a detailed case full of evidence, and those who try to argue against the book don’t counter with similar arguments. Instead, they just mischaracterize his arguments, insult him, and dismiss his conclusion. No one is asking people to ignore science in favor of some interpretation of the Bible. Instead, we are asking people to use scientific evidence to make their case. The only ones consistently doing that are the creationists and the ID people. I would love for you to point out some areas where you think Genesis conflicts with science. I have studied Genesis and science for many, many years, and I have found no place where they contradict. Instead, I find many areas where science supports the book of Genesis. Let me give you just two examples: The book of Genesis clearly says that the universe had a beginning (Genesis 1:1). Now, for the vast majority of its history, science said exactly the opposite. Science said the universe was eternal. It did not have a beginning, and it will not have an end. However, over the past century, science corrected itself, and once it did, it came in line with Genesis, agreeing that the universe did, indeed, have a beginning. The book of Genesis also clearly says that the initial arrangement of land and water on earth involved the land being grouped together in one place (Genesis 1:9-10). Scientists never even considered that possibility for the vast majority of the history of science. However, science now agrees that at one time, all the continents were grouped together in one supercontinent. Luis, if you really want to believe, all you have to do is look at the evidence. For some reason, however, you are reluctant to do that, dismissing any source that provides such evidence without actually evaluating the evidence itself. The Bible tells us people are naturally inclined to reject God and are blinded by their sinful nature. So a lot of objection to God and his word fits very well in a biblical worldview. And scientists, claiming to be the triumph of reason, while ignoring reasonable arguments and uttering merely outrage and insults are a great testimony to biblical truth. So you don’t need to believe in an “evil atheist conspiracy out there” to make sense of this world. And why do people stick to God’s Word despite secular science and the mockery by the rest of society, while there are plenty of accepted religious/spiritual alternatives? The evidence maybe. Or maybe they came to know a living and trustworthy God. I appreciate your conversation Luis, and Dr. Wile. Sifting through all the information out there is daunting, and it feels like you have to become an expert in every field before you can trust yourself to make a rational decision. I especially appreciate this particular article because of that feeling! I think that a good place to start is with Jesus and the reliability of the bible and the resurrection, and then work backwards. Jesus is a lot more recent than the creation of the world! If we can trust Jesus as the son of God based on eyewitness’s and miracles and the integrity of the text, then we will have to adjust our view of everything else. Jesus said “I am the way and the truth, no one comes to the Father except through me.” I believe that Jesus created and put truth INTO the world. Recently I’ve been coming to appreciate the rationality of God. He is so rational! He makes sense, and so does this world that he made. I love science, and I love God more through science. The gospels aren’t as reliable as you think. They may have been written early and have may copies but they certainly aren’t free of problems. The goespel were written roughly 30 years aftre Jesus’ death. Even in an oral culture, how likely do you think it is that the apostles remembered every single word that Jesus said? The fact that there are four acccounts differing from one another shows that they didn’t remember things the exact same way. If that is the case, how and what can we trust? The multiple copies we have have numerous errors in them and some even have additions that weren’t written in the earlier manuscripts. They were added at a later time. Plus, no one else wrote about the miracles that Jesus performed or his ressurection. He appeared to 500 people and stayed for 40 days. That would have been the single greatest event in history and no one recorded it accept his followers. Even if the Roman historians weren’t interested in the lives of the Jewish peasants, this event would still have been considered noteworthy. what about the other gospels that weren’t included? Why aren’t they part of God’s word? I doubt we would consider the Iliad as history if we had multiple and early copies but we think that the gospel are with the same criteria. I would like to post an indepth analysis of why I think the creation account is wrong verse by verse if I may. I am sorry, Luis, but most of what you said in your post to Kendall is completely false. There are not “numerous errors” in the various manuscripts. In fact, in comparison to other works, the manuscripts of the New Testament are amazing in their agreement. Of course others wrote about the miracles associated with Jesus, including His resurrection. We don’t consider the Iliad history because it does not pass scrutiny as a historical document. The Bible does. It is true that the gospels give different accounts, but that is common in eyewitness-written history. Indeed, because eyewitnesses tend to concentrate on different details, it takes several eyewitness accounts to get the entire story. That’s why there are four different gospels. Together, they give a more complete account of Christ. I would be very interested in your analysis. But I would suggest that since most of what you have written so far is incorrect, you might want to just limit yourself to a few verses. That way, if there are a lot of errors, it will be easier for me to correct them. A long, error-riddled analysis will take a long time to dissect. It’s best if you start small. I think you should pay attention to Jason’s comment, Luis. Notice that once he looked at both sides, he lost his faith in evolution. It should encourage you to look at both sides as well. I must say, in my earlier years, I never really thought much about evolution. I read a little here and there but I pretty much assumed it happened because well…our scientists said so. I didn’t question until I did a course on propaganda and rhetoric and started noticing how often these “arts” were being applied to almost every article I read concerning evolution and the origins controversy. I started thinking that if there was this overwhelming evidence, then why not just provide it, why all the mental gymnastics? I came across an article discussing Hackel’s fraudulent embryos, and how he/they had doctored images to convince people that evolution was true. I thought, one dodgy scientist, not unheard of… then I find out this fraud was uncovered a long time ago and yet it is STILL is some school textbooks. Then I came across an article discussing the 99% human / chimp lie, and how that was also not true. Then came the fraudulent human ancestors etc. The lack of evidence in every field of science was also very telling. Junk-DNA was the final nail in the evolutionary coffin for me. I wish you all the best in your search for truth my friend. As always, thank you Dr Wile for a great article. Luis, if you’re interested in studying these topics in depth, I highly recommend a scholar by the name of Normal Geisler. I know of no one more thorough. His series “Systematic Theology” begins in Vol. 1 with a study of the Bible, and the preconditions that are required for studying a theistic God. The first volume addresses the issue of how the canon was chosen, why the apocryphal books were not chosen, and other topics. If you want something slightly less technical he wrote a wonderful book along with another apologists by the name of Frank Turek, called “I Don’t Have Enough Faith To Be An Atheist.” This books is more of an overview of all the various evidences that point towards a theistic God. They are from a Christian perspective, but they are are also full of real data. Jason, good on you for taking such a course! I believe that every school should require a course like the one you mentioned. Evolution aside, propaganda and rhetoric bombard us every day from politicians and advertisers, and it can be very hard to see through these attempts at manipulation without training. Oh, if it was so easy to have faith in mainstream anything! I began to think of all the fish moving in the same direction and one little fish floating against the crowd… that is the fish I want to talk to! It is the one I am interested in, because it takes much more intelligence, thought and effort to go opposite the mainstream crowd. Of course, this one little fish might just be a silly, odd fish that likes doing things differently but often he will have an interesting story. Science, facts, truth, etc are not found by how many people believe in it or how popular the idea is with the largest, most vocal and considered- highly-credential group… science, facts, truth, etc stand up on their own and beg for questions, examinations, poking, investigating and testing. Anything written by man that is put in an ivory tower of “hands-off” final-word claims are obviously not able withstand the scrutiny of real science. I have always loved your teachings and was just thinking the other day when reading about the evolution quandary with the newly tested DNA found in the ancient bones in a NY Times article. I love reading the comments. I found about half of the people confidently disputing evolution. To my joy, way down after many comments, someone in the “scientific” community scoffed away the anti-Darwin/evolutionist as proof of homeschooling destroying science education. Of course, I smiled. Quite the opposite, I could not help but think of the generation you have had such an profound impact on that are home schooled to truly know what science is and what it is not! Luis. As a scientist, I am sympathetic to your misgivings about the history of the human species and this planet. I think the Bible is best utilized as a source of reliable clues for these topics. I think it is unhelpful to promote private interpretations of the Bible as being divinely inspired, and I think it is interesting that you seem to think that all Christians have to think like Ken Ham in order to be theologically and scientifically consistent. While I have my limits, I am open to the arguments of both Hugh Ross and Ken Ham. In this life, we will never know which of these men’s opinions are the most accurate representations of the truth. I think the key to recovering your Christian faith is in understanding the remarkable connectivity and authenticity of the Bible. As Kendall said above, it is best to work backwards from the overall authenticity of the Bible rather than dismiss the Bible in toto because you think that Genesis is demonstrably false. It is best to withhold judgement and allow faith and reason to work together in your heart and mind. For example, I think it is highly unreasonable to doubt the direct creation of man since the Bible provides an account that includes a detailed genealogy that leads from Adam to Jesus. In addition, I think the fact that the book of Genesis describes a decrease in average lifespan from 900 years to less than 120 to be another mark of authenticity. Since there would be no need to fabricate this data to support the “story line” and since it was written by one of the world’s leading intellectuals Moses), I think the data trend is very likely true. I end my short argument here with an Albert Einstein story which is presumably true. It is refreshing instance of intellectual honesty from one of the world’s greatest scientists. I do not recall where I got this or I would include the source. The rest of this post was copied from that source. Jeff, the quotes from Einstein were given in the April 5, 2007 issue of Time. They are real, but Einstein’s view of God was definitely different from the Christian view, and he did not view Jesus as God’s Son. He also did not believe in the resurrection. In William Hermanns’s book, Einstein and the Poet: In Search of the Cosmic Man, he is quoted as saying, “Sometimes I think it would have been better if Jesus had never lived. No name was so abused for the sake of power! [p. 62 of the 1983 edition]” Einstein was a great man and an incredible scientist, but even the best scientist can ignore the evidence. That’s why it is so important to examine the evidence for yourself rather than take the word of a scientist or group of scientists. Dr. Wile. While I appreciate the color and background that you provide for the Einstein interview (some of which I already knew), the interview speaks for itself. One must accept the historical existence of Jesus before one can accept the supernatural nature of Jesus. The fact that Einstein did not accept the latter does not lessen the fact that he did in fact accept the former. I agree, Jeff. I just wanted to delineate what Einstein did and did not believe. Scientist and Christian? Are you familiar with the idea of Cognitive Dissonance? Do you still believe any other fairy stories you were told when you were little? We came from nothing, we have a short hard life on this rock in space for no reason, and we will return to nothing. Imagining a creator who feels that we are special and deserve to live on in bliss for eternity is just deluded wishful thinking. Good luck with that though! Thanks for illustrating the point of this post so well, Alan! Dr. Wile, thanks for your patience, careful thinking and honest assessment of every issue. I also commend you for your respectful treatment of Luis in your interaction with him. You treated me with the same respect in the debate we had a few weeks ago. I posted a reply, I think it is stuck in moderation due to links. I am sorry, Nick, but I don’t see it. Would it be too much trouble to repost it? The earth was not created in six days, 6000 years ago. Multiple lines of evidence have shown this clearly. There is no vault, firmament or dome in the sky. Seed-bearing plants came long after the dinosaurs, not before. Also, microbial life in the oceans came before plant life. There are a lot more problems which I can show in future posts but you can respond to these first. Thanks for keeping it short, Luis. I think it’s pretty clear that you haven’t read much on the creationist side of things here. Once again, I encourage you to do so, because you seem to have a lot of misconceptions about what the Scriptures and science say. None of those verses have been shown by science to be incorrect. This particular verse says nothing about 6 days, but I assume you are using it to discuss the entire outline of the Genesis account, where God creates the universe in six days. If you spend time reading virtually any Christian (or Jewish) resource on this issue, you will find that the Hebrew word translated as “day” in Genesis 1 (yom) can mean a multitude of different things. It can mean a 24-hour day, a period of light (as opposed to a period of darkness), a point in time, a year, or an unspecified period of time. Indeed, all of those meanings are used throughout the Old Testament. Generally, you decide the meaning by the context. However, it is difficult to determine the context in something like the creation event. Thus, the Genesis account might be saying that the universe was made in six 24-hour days, but it might be saying that God created at six specific points of time, in six years, or in six unspecified periods of time. The text simply isn’t clear enough to give us a definitive answer for what the “day” really means. Nowhere in this verse, and nowhere in the Bible, does it say that the earth was created 6,000 years ago. If you are going to critique the Bible, you ought to at least read it to know what it says. It can be interpreted to say that the earth is young (on the order of thousands of years old, but it is not possible to say exactly how many thousands of years old), or it can be interpreted to say that the earth is millions or billions of years old. It all depends on how the reader understands certain passages. Now…I think the Bible is saying that the earth was created in six 24-hour days and is only on the order of thousands of years old, and there are multiple lines of evidence to support a thousands-of-years-old earth. The earth’s magnetic field, the process of counting tree rings, the amount of sodium in the oceans, the amount of helium in the atmosphere, the presence of soft tissue in dinosaur bones, the presence of carbon-14 in dinosaur bones, and the activity of the sun all indicate a very young earth. As a scientist, I think the scientific evidence for a thousands-of-years-old earth is much stronger than the evidence for a billions-of-years old earth. Of course, other scientists would disagree with me on that, and that’s what science is all about – different scientists producing competing views based on the data. You say that seed-bearing plants came long after the dinosaurs. I am not sure where you got that notion, but not even evolutionary scientists would say that. According to evolutionists, gymnosperms evolved about 300 million years ago. Dinosaurs evolved about 70 million years later. Thus, evolutionists would say that seed-bearing plants came before the dinosaurs. Now…it has been preached as gospel truth that grasses did not evolved until after the dinosaurs. Why? Because fossil grasses are not found in the same rock layers as dinosaur fossils. They are found in rock layers that are supposed to be younger than the rock layers in which dinosaur fossils are found. However, we now know that this notion is wrong, because analysis of fossilized dinosaur dung shows that dinosaurs ate grasses. Thus, even though we don’t find their fossils in the same layer of rock, we know that grasses and dinosaurs existed at the same time. This brings up the real problem with your issue regarding this passage of Scripture. You seem to think that science has figured out the order in which animals appeared on earth. It has not. Evolutionary scientists assume that each layer of rock represents an era in earth’s past, and whatever fossils you find in that layer tell you what organisms lived in that era. If you don’t find two organisms’ fossils in the same layer of rock, they didn’t live at the same time. However, we know for a fact that such reasoning is incorrect. The grasses give an example of that. Their fossils aren’t found in the same layers of rock as dinosaur fossils are found, but we know they lived at the same time, because dinosaurs ate them. In addition, fossil coelacanths are never found in the same layers of rock as human fossils. Thus, coelacanths shouldn’t live at the same time as people. However, we know they do, because we have found living coelacanths. The same can be said about tuataras, Laotian rock rats, and wollemi pines. In the end, then, there are lots of problems with the geological reasoning most scientists use to determine the order in which organisms appeared on earth. As a scientist, I think that understanding geology in the context of rapid, catastrophic processes (including a worldwide Flood) makes more sense of the geological data than trying to understand geology in a billions-of-years kind of framework. Once again, other scientists would disagree with me on that point, and once again, that’s what science is all about. So as you can see, science has not demonstrated any of these verses to be incorrect. I think if you spent some time studying both Scripture and science, you would begin to understand how incredibly interesting science is, and how strongly it supports Scripture. The lights are typically seen as the sun and the moon. The sun was not created after the earth but before. Also, you can’t measure earth days without the sun so the first three days are moot. Birds evolved from dinosaurs and were not created at the same time as the marine animals. No bird fossil has ever been found within that time period. Some translations say the whales were created at this time but science has shown they evolved from land animals. Dinosaurs came before livestock and wild animals. Since there was no evidence of dinosaurs when this was written, it is not mentioned in the bible. This could be seen as evidence that man wrote the creation account based on what he could see. We can clearly see in the fossil record that predation took place before the appearance of man. Dinosaurs and other animals weren’t strictly plant eaters. There was animal death long before man came along. Luis, since you didn’t respond to my first set of corrections, I assume that means you have accepted the weight of the evidence and understand now that science doesn’t contradict any of the passages you cited previously. As I will show you in this response, the same can be said of the passages you cite in your most recent post. There is no real evidence that the sun existed before the earth. That’s the assumption made by the currently-fashionable model of solar system formation, but that model is fatally flawed. Perhaps you are unaware of this, but it’s the earth’s rotation that determines the length of the day, not the sun. Thus, one doesn’t need the sun to measure the length of the day. One only needs the earth to be rotating. Birds did not evolve from dinosaurs. The world’s leading expert on bird fossils is quite clear on this point. In addition, there are several lines of evidence to indicate that such an evolutionary transition is not possible (see here, here, and here). As I demonstrated in my correction to your previous post, there are serious flaws with the idea that the layers of rock in which fossils are found are indicative of a certain era in time. Thus, the fact that bird fossils are not found in the same layers as some marine creatures means nothing with regard to whether or not they lived at the same time. I am not sure what you mean by “some translations say the whales were created at this time.” ALL translations say that, because whales are sea creatures. Of course, science has not shown that whales evolved from land animals. In fact, the fossil record shows that couldn’t have happened (see here, here, here, and here). Once again, there is no evidence that dinosaurs came before livestock and wild animals. Indeed, as I showed you in my response to your previous post, the same reasoning used to make this claim indicates that coelacanths, tuataras, Laotian rock rats, and wollemi pines are not alive today, but they are. Also, you are dead wrong that the Bible doesn’t mention dinosaurs. Job 40:15-24 contains an excellent description of a sauropod dinosaur, and Job 41:1-34 contains an excellent description of a plesiosaur. Once again, the fossil record is not a record of different eras in earth’s history. That kind of interpretation of the fossil record leads to all sorts of problems. The fossil record is best explained in terms of rapid, catastrophic events, including a worldwide Flood. Thus, there is no evidence that predation existed prior to the appearance of man. So you see once again that science doesn’t contradict Genesis in any way. I do hope that you work on learning both what the Scriptures have to say and what the scientific evidence really tells us. If you do, you will see that science supports Scripture. I haven’t commented on the previous posts because I didn’t want to get into a back and forth before presenting the errors I found. I have taken a quick look at some of them and I’m sure most of it will be over my head. It will come down to the same thing as to who is right and who is wrong. If there was someone with a PHD reading them, I’m sure he can point out several errors that I can’t. I do find your comment about the sun to be very dubious though. I know that we have rogue planets floating around but I can’t see a star forming around a planet. It makes more sense the other way around with gravity and all. I would also have to really look into the bird and whale evolution because I’m not sure I’m convinced of the links you posted either. You made several mentions about the fossil record and referenced the global flood for the geological columns. I believe flood geology and the global flood has been largely discredited but that’s another problem with Genesis apart from the creation account. Here is the last post of the account. Modern man emerged out of Africa not the Middle East where these rivers are said to have been located. Also, population genetics shows we came from a population of 10, 000 not two people. Women weren’t formed from the ribs of men and the second creation account in Genesis 2 contradicts the one in Genesis 1. You can deny all this if you want to but it doesn’t change them as facts. You may be able to ignore them and cling to the “evidence” that supports you faith but I couldn’t do it and be honest with myself. This is just the tip of the iceberg of things that made me question my faith. I think that’s your problem, Luis. Rather than actually investigating these issues for yourself, you want to take the word of some PhD. Of course, not just any PhD will work for you, because nearly every link I gave you was written by one or more PhD scientists. Instead, it seems you will only take the word of a PhD who agrees with the majority of PhD’s out there. That’s not a very rational way to make decisions about what is true. You might find my comment about the sun dubious, but please read the article attached. It shows how the currently-fashionable model of solar system formation (which is the one you seem to unquestioningly believe) is fatally flawed. Thus, at this point, science cannot say which came first, the earth or the sun. You might believe that the global Flood has been discredited, but you have no evidence to back up that position. In fact, the evidence shows that geology is better understood in the context of rapid, catastrophic processes that include a global Flood. Once again, look at the evidence (the links I have given you are a good starting point), and you will see that. Here is the problem with what you say about Genesis 1:10-14: First, you seem to be behind the times when it comes to what you think science says. Most anthropologists are moving away from the “Out of Africa” model, because there is so much evidence against it (see here, here, here, and here, for example). This is one of the many problems with your idea that you need to believe what is taught in school. Schools are often way behind the times when it comes to what science is actually saying. Second, populations genetics does not show that we came from a population of 10,000 people. One model of human origins assumes it. In fact, the genetics of human beings is best understood from the standpoint of all humans being descended from one couple (see here and here, for example). Third, you claim that women weren’t formed from the ribs of men. What is your evidence for that? In fact, evolutionary biologists can’t even develop a reasonable hypothetical model of how sexual reproduction was produced. Thus, from an evolutionary standpoint, the appearance of all genders is a mystery that cannot be made consistent with the evidence. However, the Biblical model fits all the data. As a scientist, I have to take the model that fits the data. Fourth, Genesis 1 does not contradict Genesis 2 in any way. All you have to do is read a little bit to see that! I find it interesting that you claim I am denying the facts and clinging to “evidence” that only supports my faith. In this entire discussion, I am the only one who has presented any evidence. All you have done is make statements claiming what science says, and in each case, I have presented the evidence that shows you are wrong. Rather than reading that evidence and trying to understand it, you simply say that most of it is over your head. It seems to me that you are the one who is clinging to a view without any evidence to support that view. When you are presented with evidence, rather than reading it, you simply ignore it and cling to what you want to believe. To make a truly rational decision about what to believe, you need to actually examine the evidence. I am not sure what has really caused you to doubt your faith. It’s not science, because science supports Christianity. Indeed, I was an atheist until I started studying science. Science showed me there must be a Creator, and further scientific investigation of various religions’ Scriptures showed me that the Bible is the best source of information about the Creator. I pray that you actually look at the scientific evidence at some point. If you do, you will see how wrong most of the statements you have made are! I intend to read the links when I get a chance. I didn’t mean to give the impression that I won’t read them just that I may not understand it. This was my initial contention. How do I know that the science presented in the links are correct? I don’t so I have to depend on what mainstream science tells me. It may not be rational but I have to trust something. Fossils aside, there is plenty more evidence for evolution like ERV’s, morphology, biogeogrophy, nested hierarchies, phylogenetics (genetic data seems to line up with the fossil record quite nicely) not to mention the examples of chromosome 2 and DNA similarties which we discussed before. There’s lots more than this too. What explains this data better than common descent that’s testable and predictable? Creationism and ID can’t test for common design. This is what started to cause me to lose my faith and it will down from there. I believe that Darwin killed god. He did what so many tried to do and couldn’t. As Will Provine said “Evolution is the greatest invention of atheism ever invented.” This is why creationists hold to their science for dear life. I think you missed the point of the entire post, Luis. The pastor mentioned in this post gives you the answer to your question. You read both sides of the issue and see who has the most reasonable arguments. For me (and him), it’s a no-brainer. While the evolutionists desperately hold onto outdated ideas that we know are wrong (like junk DNA), the creationists and IDists are the ones actually concentrating on science. While evolutionists do little but insult and dismiss other views, creationists and IDists offer substantial arguments that the evolutionists are unable to seriously refute. While evolutionists spend their time trying to prop up a hypothesis that has little scientific merit, creationists and IDists are busy educating people about what science actually says. Here is some more reading to add to your list, since you don’t seem to understand the science very well. ERV’s are not evidence for evolution (see here and here for more details). Morphology presents an enormous set of problems for evolution, chief among them is how you determine when similar traits are the result of supposed common ancestry and when they are the result of random chance (as has become increasingly necessary in the evolutionary hypothesis). Nested hierarchies are interesting, but most man-made systems can be fit into nested hierarchies, so they are also a hallmark of design. As my article on human chromosome 2 (which you commented on) explains, it is not evidence for common ancestry, and it’s not even clear it is the result of a fusion between two independent chromosomes. Probably your biggest misconception, however, is about the predictions of evolution, creation, and ID. Time and time again, the predictions of evolution have failed miserably (see here, here, here, here, and here, for example). On the other hand, ID and creationism have made several testable predictions, and they have been confirmed by the data (see here, here, here, here, here, and here, for example). From a scientific point of view, the choice is clear: one goes with the hypothesis that makes the most successful predictions. That’s why I am a creationist. I find it amazing that you think Darwin killed God. If that were the case, why are there so many committed evolutionists who are also committed theists? There is no reason to think that evolution and Christianity are incompatible. Indeed, some of the strongest voices in favor of evolution these days are Christians like Dr. Francis Collins and Dr. Karl Gibberson. Like I said, it wasn’t science that caused you to lose your faith. Scientific misconceptions and misunderstandings might have done that, but science did not. Science strongly supports the Scriptures, as I have demonstrated time and time again in our discussion. If you would actually investigate this issue, you would find that out for yourself. I don’t think these guys are christians. They would give up their beliefs in a second if the science demanded it. Even Gibberson has admitted that he is a christian more so because of his family than for himself. You don’t seem to know much about either Giberson or Collins, do you? Dr. Karl Giberson was on the faculty at Eastern Nazarene College. 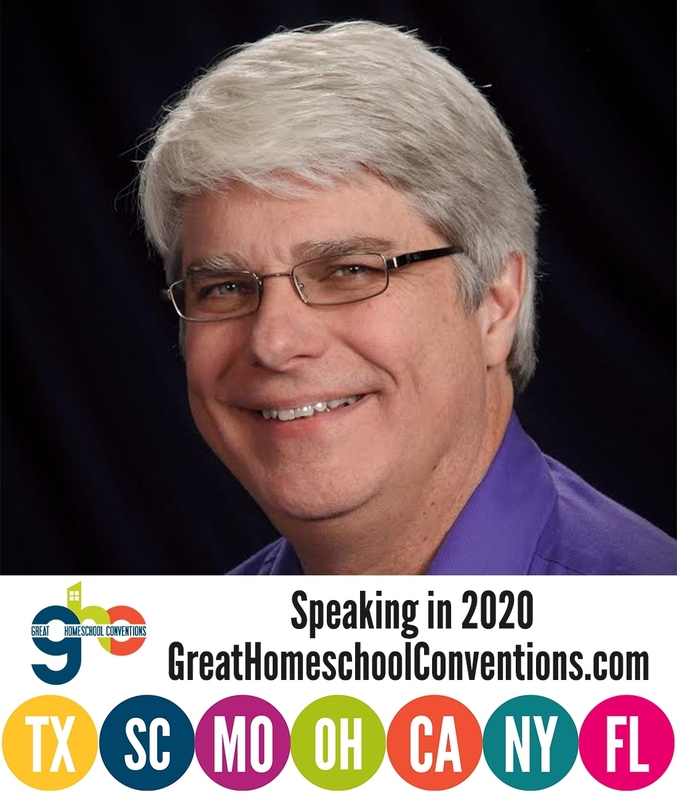 He is a member of the American Scientific Affiliation, whose stated purpose is “to investigate any area relating Christian faith and science.” He was the director of the Forum on Faith & Science at Gordon College, and he is an author for the Church of the Nazarene. He is currently with Biologos, which describes itself as, “a community of evangelical Christians committed to exploring and celebrating the compatibility of evolutionary creation and biblical faith, guided by the truth that ‘all things hold together in Christ. '” Does that sound like someone who is not a Christian? Of course not. You claim that he has said he is only a Christian because of his family. Please provide the quote and the reference, because I doubt that he said anything like that. Dr. Francis Collins was brought up by what he calls “nominal Christians,” but he developed a deep Christian faith because he read lots of different books on religion and came to the conclusion that Christianity is true. He is an Evangelical Christian who wrote a book entitled The Language of God: A Scientist Presents Evidence for Belief. He sees his science as an opportunity to worship God. Does that sound like someone who is not a Christian? Of course not. Once again, Luis, you seem to have a LOT of misconceptions on this topic! It’s from his book “saving darwin”. I can’t seem to find the quote but I know it’s been referenced. He says that he’s a christian because his family is and because of his place of work. Not really something that qualifies one as a believer. The universe as we understand it today inspires awe. And for those open to its message—from the psalmists of yesteryear to the believers and even the thoughtful skeptics of today—it speaks of a Creator. Our universe does not look like a cosmic accident, where lots of stuff just happened. It looks like the expression of a grand plan—a cosmic architecture capable of both supporting life such as ours and of inspiring observers like us to seek out the Creator. This is why Antony Flew—“world’s most notorious atheist”—changed his mind and started believing in God. Water exists because the universe has a set of laws that guide its steady development from the big bang into the present. If we suppose that water and the life it enables are of no consequence, then we can dismiss these laws as irrelevant. On the other hand, if we believe that God is the creator of life and that life has a purpose, then these laws take on a new character. If God is the Creator, then these laws exist because God created them. And these laws work because God upholds them from moment to moment. Viewed by these lights, the origin of water and life are creation events, intentionally enabled by the Creator of the universe. To be a Christian is to accept that there is another layer of reality that lies beyond the purely scientific. The evidence for this other layer is, of course, not like the evidence for magnetism or the shape of the earth. But it is not an unfounded belief, even from a scientific point of view. Science does not overthrow the Bible. Faith does not require rejecting science. World-renowned scientist Francis Collins, author of The Language of God, along with fellow scientist Karl Giberson show how we can embrace both. So what was that about him not really being a Christian? You would have known that he is a Christian if you had read anything he wrote. Once again, reading all sides is the key. If you do that, you will see how strongly science supports the Christian faith. “I understand how honest thinkers and seekers after the truth like Daniel Dennett and Michael Ruse can end up rejecting God. Like that of most thinking Christians, my belief in God is tinged with doubts and, in my more reflective moments, I sometimes wonder if I am perhaps simply continuing along the trajectory of a childhood faith that should be abandoned. As a purely practical matter, I have compelling reasons to believe in God. My parents are deeply committed Christians and would be devastated, were I to reject my faith. My wife and children believe in God, and we attend church together regularly. Most of my friends are believers. I have a job I love at a Christian college that would be forced to dismiss me if I were to reject the faith that underpins the mission of the college. Abandoning belief in God would be disruptive, sending my life completely off the rails. I can sympathize with Darwin as he struggled against the unwanted challenges to his faith” (pp. 155–156). To me it doesn’t really sound like someone who has committed his life to his living Lord and Savior. Though maybe there are passages that are more favorable in that regard. It can be quite misleading to use the word ‘christian’ for people that don’t follow Christ but just believe in some sort of God. Christianity without Christ is not christianity. ps – Thank you dr Wile for this informative blog. And the comment thread is as enjoyable as the main content, in stark contrast to most of the worldwide web. If I could convince myself that ID were true, I would have a solid argument to believe in God, to keep those nagging doubts at bay. I would be less controversial at the college where I teach, able to affirm my students in their confident but unexamined beliefs that evolution is untrue. The president of the college would not have to worry about fundamentalist donors who won’t support their alma mater because I teach there. I have many solid reasons to embrance ID and have been at times, in the words of that ancient hymn, “almost persuaded.” So when I say that I reject ID, I say it with pangs of regret. I truly wish it were true. So the quote has nothing to do with why he is a Christian. Instead, he is making the case that for many practical reasons, he wants to believe in ID. He just can’t. Still, I find no compelling reason to think that the central message of Christianity is incompatible with humanity’s kinship with the rest of the animal world. In fact, this continuity with the animal world may place increasing theological significance on the welfare of animals and ecological responsibility. But while working on his Ph.D. in physics, he began to doubt that science could have gotten everything as thoroughly wrong as the creationists suggested, and he gradually abandoned his creationist beliefs – but not his belief in Christianity. Through careful research, Giberson concluded that Christianity and evolution do not have to be incompatible. So for Luis to claim that Giberson is not really a Christian and would give up his beliefs “in a second if the science demanded it” is clearly incorrect. Just as an aside, please understand why I know all this about Giberson. I don’t agree with him. In fact, I think he is dead wrong about evolution. He puts waayyyy too much emphasis on scientific consensus and not nearly enough emphasis on the data themselves. Nevertheless, I have read Saving Darwin and several of his articles at Biologos. Why? Because reading from all sides is the only way to get to the truth. If I had just read the review at creation.com, I would think that Giberson isn’t really a Christian. However, having read several of his works in their entirety, it was apparent to me that he is not a Christian just because of family and work. Thus, I only had to track down the quote (with your help, of course) to see that it was ripped way out of context. I am really glad that you enjoy reading even the comments section on this blog! That’s interesting because I see it different than you, Dr. Wile. I see Giberson as someone who’s faith is threatened by evolution and it causes him to doubt his faith quite a bit. Leaving the faith would cause turmoil to him both personally and socially so he tries to find some kind of way to reconcile the two. It works for a time but then the walls start to crack and he has to patch them up again. He wishes ID were true so he would not have to doubt his faith and keeping patching the wall. He’s being dishonest with himself which is something I couldn’t do. I had to let the wall crumble. He doesn’t even believe in an historical Adam (as far as I’m aware) and thinks that Jesus died for the selfish evolutionary ways that we got from the lower animals. Why would Jesus die to save us from a method that He would have implemented to create us in the first place? That’s the crazy intellectual hoops one has to jump through in order to reconcile two things that can’t be reconciled. YEC makes the most sense theologically, to me anyway, but it is the worst science. Another thing too. He admits that all the science that creationists dismissed couldn’t have been wrong so he left his creationism. That’s where I’m coming from. You accuse evolutionists with not dealing with the science but the creationists is all about the science and evidence. Isn’t that one-sided? Do you think Francis Collins and Hugh Ross are way out on their science while Henry Morris or Kurt Wise are right on? Is it because it conforms with your preconceived bias? Is that not possible? Luis, you certainly don’t understand where Dr. Giberson is coming from. I suspect that’s because you haven’t read any of his books. Instead, you read some one-sided commentary on him, and since it fit in with your current view2, you believed it. There are no walls cracking in his faith and no patching up of those walls. He has spent a lot of time studying both Christianity and evolution, and he doesn’t see them as incompatible. You are correct that he doesn’t believe in a historical Adam, but he most certainly doesn’t think that Jesus died for the “selfish evolutionary ways that we got from the lower animals!” Giberson believe that Jesus died for all humanity because all humanity rebels against God. It isn’t the method of creation that is to blame – it is because all have sinned and fall short of the Glory of God (Romans 3:23). You keep claiming that evolution and Christianity can’t be reconciled, but that is clearly false. After all not only are people like Dr. Giberson and Dr. Collins committed evolutionists and committed Christians, but some of the greatest Christian thinkers of our time believe in both evolution and Christianity. Dr. Alvin Plantinga, double-Dr. Alister McGrath, Dr. John Lennox, and C.S. Lewis come to mind immediately. There are many more. To claim that evolution and Christianity are incompatible is to ignore the vast majority of Christian scholarship over the past 100 years! I agree with you that YEC makes the most sense theologically. It also makes the most sense scientifically. However, that’s a far cry from claiming that anything other than YEC is incompatible with Christianity. Please read any of the scholars listed above (or Dr. Giberson). You will find how untenable your position is. I do think that Francis Collins, Hugh Ross, and many other scientist are wrong on their interpretation of the data. I personally think they put too much stock in the argument from majority, but that’s nothing unusual. The history of science is filled with a myriad of examples of all scientists thinking one thing and being wrong. Consider, for example, the case of Dr. Dan Shechtman. He claimed to have discovered quasicrystals. However, pretty much every scientist on the planet believed that quasicrystals couldn’t exist. Should he have just shut up and gone with the majority opinion? You seem to be arguing that he should have. Thank God he did not. Instead, he decided it was very plausible that the vast majority of scientists were wrong, and he ended up demonstrating that quasicrystals do exist. In the end, he won the Nobel Prize for his work, providing one of many examples of how the majority of scientists can be dead wrong on an issue. In the end, I do think that Morris and Wise are doing better science than Ross, Francis, and Giberson, and that’s not because of my preconceived bias. In fact, after becoming a Christian, I believed in an old earth. It wasn’t until I started doing my graduate work in nuclear chemistry that I began to see the inconsistencies between that view and the scientific data. Had I been following my preconceived notions, I would have stayed an old-earther. However, I couldn’t be a responsible scientist and believe in an old earth. That’s why I changed my view. I don’t understand how I can misread this. He has doubts that God exists. Why? Evolution and his faith were not compatible. That’s why. So what did he do? He found some kind of way to reconcile the two. Why would he do this intead of giving into doubts and reject the faith? Because it would be troublesome for him. There is no misreading here. He has doubts god exists because the science contradicts his faith. He can’t give it up because that would cause too much trouble. He finds a way to reconcile the two but it’s not 100% satisfactory so he continues to doubt but has to continue. Like it does with me, then, science demonstrates to Giberson that God exists and He created the world. The only thing science made him doubt was his original view on how God created. Once he did his research, he found what anyone who understands evolution and Scripture knows – the two are not incompatible. Christians affirm that everything exists because of God–from subatomic quarks to black holes. Science often claims to explain nature without including God at all. And thinking Christians often feel forced to choose between the two. But the good news is that we don’t have to make a choice. Science does not overthrow the Bible. Faith does not require rejecting science. World-renowned scientist Francis Collins, author of The Language of God, along with fellow scientist Karl Giberson show how we can embrace both. Now remember, Dr. Francis Collins is another example of a devout Christian who is also a vocal proponent of evolution. Why would he team up with such a person to write a book that says you can embrace both science and Christianity? He could still go to church with his family and keep his job without being so vocal about the fact that evolution and Christianity are compatible. So why does he so actively promote embracing both evolution and Christianity, even though you think he secretly is just going through the motions for his family and work? Second, if evolution and Christianity are incompatible, why are many of the great thinkers in Christianity (like Dr. Francis Collins, Dr. Alvin Plantinga, double-Dr. Alister McGrath, Dr. John Lennox, and C.S. Lewis) evolutionists and devout Christians? Biologos exists to convince christians that evolution is true more so than to convince atheists that christianity is true. They are preachers for Darwin first and Jesus second. The majority of their articles are on the facts of evolution than christian theology. How many people will be brought into heaven believing Darwin’s theory? How many atheists have they convinced? Scientists first, christians second. To them, Genesis, Adam and the fall are nothing more than symbols. Why would Jesus die for that? All those scholars you listed are smart for sure but they are wrong. A random, purposeless process can’t be reconciled with a purposeful creator. Either we were intentional by god or we were an unexpected outcome. Biologos says the evidence for god is the fine tuning of the universe. Why would god create and fine tune a universe just to let go when the process of life starts? Why stop at this point when the fine tuning of the universe was done for exactly this reason? It’s absurd. The bible is clear about god’s intention to create man. If you say that evolution is guided, I would love to see the evidence because we haven’t found any so far. Did god guide the evolution of malaria or aids? What about planet and chemical formation, does he guide that too? If so then we are back to believing in ancient mythologies. Ken Miller even indicates that nature was free to create itself and that man may not have been the intended outcome. If the meteor that killed the dinosaurs didn’t hit then god would have put his image into some kind of evolved humanoid reptile. Ridiculous. Did god just happen to look down from his morning coffee and noticed this new creature called man? If that’s the case then he’s not omniscient and therefore not god. They can’t be reconciled. Atheists and fundamentalists are both right on that. You didn’t answer my first question, Luis. Why does Dr. Giberson spend so much time telling people to embrace both evolution and Christianity if he is just staying a Christian for his family’s sake and his work’s sake? Someone who writes that we need to embrace both Christianity and evolution is not someone who is just going through the motions. Someone who writes an entire piece about how the universe clearly shows it was created is not someone who is questioning his faith. 1. We believe the Bible is the inspired and authoritative word of God. By the Holy Spirit it is the “living and active” means through which God speaks to the church today, bearing witness to God’s Son, Jesus, as the divine Logos, or Word of God. 2. We believe that God also reveals himself in and through the natural world he created, which displays his glory, eternal power, and divine nature. Properly interpreted, Scripture and nature are complementary and faithful witnesses to their common Author. 3. We believe that all people have sinned against God and are in need of salvation. 4. We believe in the historical incarnation of Jesus Christ as fully God and fully man. We believe in the historical death and resurrection of Jesus Christ, by which we are saved and reconciled to God. 5. We believe that God is directly involved in the lives of people today through acts of redemption, personal transformation, and answers to prayer. 6. We believe that God typically sustains the world using faithful, consistent processes that humans describe as “natural laws.” Yet we also affirm that God works outside of natural law in supernatural events, including the miracles described in Scripture. In both natural and supernatural ways, God continues to be directly involved in creation and in human history. 7. We believe that the methods of science are an important and reliable means to investigate and describe the world God has made. In this, we stand with a long tradition of Christians for whom Christian faith and science are mutually hospitable. Therefore, we reject ideologies such as Materialism and Scientism that claim science is the sole source of knowledge and truth, that science has debunked God and religion, or that the physical world constitutes the whole of reality. 9. We believe that the diversity and interrelation of all life on earth are best explained by the God-ordained process of evolution with common descent. Thus, evolution is not in opposition to God, but a means by which God providentially achieves his purposes. Therefore, we reject ideologies that claim that evolution is a purposeless process or that evolution replaces God. 10. We believe that God created humans in biological continuity with all life on earth, but also as spiritual beings. God established a unique relationship with humanity by endowing us with his image and calling us to an elevated position within the created order. 11. We believe that conversations among Christians about controversial issues of science and faith can and must be conducted with humility, grace, honesty, and compassion as a visible sign of the Spirit’s presence in Christ’s body, the Church. These are not the set of beliefs of a group that puts Darwin first and Jesus second. They are the beliefs of a group that thinks God is in charge of all truth, scientific and spiritual. They don’t think Genesis is a symbol. They think it is a book of revealed truths and is part of the authoritative Word of God! They just don’t think the first 11 chapters were ever meant to be taken as history. You also don’t understand the position of any of the men I listed. Once again, that’s not surprising, because you refuse to read what they have to say. Instead, you declare them wrong without even giving them a hearing. Not exactly a rational thing to do! If you would actually read what even one of them had to say, you would find that none of them think of evolution as a “random, purposeless process.” They all have different ideas of how God used evolution to create, and none of them see it as random or purposeless. For example, you ask, “Why would god [sic] create and fine tune a universe just to let go when the process of life starts?” Because as Giberson and Collins believe, the fine tuning of the universe is what made evolution go the way it went. God set the natural laws up so that evolution could work and could work in such a way as to produce people. After all, what’s more impressive: making a machine or producing the situation where a machine makes itself? To them, the latter is more illustrative of God’s power. Plantinga thinks that God had a more direct role in guiding evolution. There are many different ways that theistic evolutionists think God used evolution to create. Of course, you would know that if you actually read any of them! I agree that Ken Miller’s view of evolution is pretty ridiculous, but it is not the view of Collins, Giberson, Plantinga, Lennox, McGrath, or Lewis. All of these men understand what any person who understands both evolution and Christianity knows: they are quite compatible. Indeed, Dr. Plantiga’s book, Where the Conflict Really Lies (see my review here and here), makes the very clear case that the conflict isn’t between evolution and Christianity. The conflict is actually between naturalism and science. You really need to educate yourself on this issue, Luis. Just as you don’t seem to understand evolution very well, you don’t seem to understand Christianity very well. Both are compatible, as is quite clear from all the very devout Christians who are also evolutionists. Luis, after reading your back and forth between yourself and Dr. wile, I’m curious about a few things. If you don’t mind my asking, I have a couple questions. One of your earlier posts made me think that you might have a problem with God and suffering. Is that an issue? I know it’s an obstacle for many many people. Which prompted that question. It’s a tough one. Evolution aside, how do you believe the universe came to be? It cannot be infinite, for the basic reason that we could never reach this moment right now in an infinite universe. Where did the universe come from? It is nonsensical to believe that the universe came from nothing. That belief makes it really hard to do science, because science is grounded so heavily in the law of causality. Just curious, where do you think the universe came from, if it came from anything at all? I’ve been studying the cosmological argument and it is very interesting. Regardless of the how, it seems inescapable that there is a creator. It doesn’t point directly to the Christian God, although you can infer certain qualities about God from it (that the infinite being that created is a person, it has a will, evidenced by its choice to create), but it’s a great place to start, because it does, in fact, point to a creator in the first place. I was also hoping you might restate your view of evolution and creation. Why must evolution exclude God specifically? Some people think that an impersonal being created and then left the creation alone (deism), why is this not an option in your mind? lastly I want to recommend this site to you. http://www.reasonablefaith.org/ It’s full of information on a TON of different topics, in case you need more sources! I thought I made my answer about Giberson clear. He is a christian because it is convenient for him. Since he is part of the “fold”, he is using his position to preach evolution to the creationits. I bet he spends more time convincing christians about evolution than atheists about christianity. His commitment to christ isn’t as strong as his commitment to evolution. “One of your earlier posts made me think that you might have a problem with God and suffering. Is that an issue? I know it’s an obstacle for many many people. To some degree, the problem of evil was why I asked the question. The main point was why would god guide the evolution of the things that kill us if he is a loving god? Would you be considered a loving parent if you guided the event that got your child killed? If god didn’t guide it then evolution is random and we were not purposed. Evoluton and christianty are not compatible. I also asked that if god guides evolution, why don’t christians say the formation of water from hydron and oxygen is guided by god, when a rock falls to the ground it is guided by god? Why is biology guided but not physics or chemistry? If it is then we are in the realm of pantheism which is more akin to the ancient religions. Also, the multiverse may explain this universe. Even it is doesn’t, you don’t know what came befor either. What proof do you have that it was a creator with a will to create? Molecules in quantum mechanics appear without a cause all the time. The universe started as a singularity. Perhaps it was one of those uncaused molecules. I don’t know where the universe came from but it doesn’t mean it was a god. Deism is a worthless position to have. One might as well be an athiest for the all the good it will do. A deist may believe in a god but lives as if there isn’t one because this god doesn’t get involved anyway. It doesn’t care how you live your life nor does it care about the notions of an afterlife. I’m also aware of Craig and how he is lauded by atheists. Luis, your answer to my question is not clear at all. If Giberson is only a Christian because it is convenient for him, why does he spend so much time writing about Christianity? Why does he team up with Dr. Francis Collins, a devout Christian, to write a book that helps people embrace Christianity? Those aren’t the actions of someone who is a Christian out of convenience. Those are the actions of someone who really believes. You say, “His commitment to christ [sic] isn’t as strong as his commitment to evolution,” but you really have no basis upon which to judge that, because you haven’t read any of his works. I have read several of his works, and his commitment to Christ is very strong. Remember, he has signed on to the beliefs of Biologos, which says that the Bible “is the inspired and authoritative word of God,” that “all people have sinned against God and are in need of salvation,” that Christ was “fully God and fully man,” and that the death and resurrection of Jesus Christ are real and are the means “by which we are saved and reconciled to God.” Now remember, he doesn’t have to work with Biologos. He has a good job at a Nazarene College. If he was just a Christian by convenience, he could go to church with his family and teach at the college. Instead, he spends his time telling people about the beliefs of Biologos. That’s not someone who is a Christian out of convenience. You need to give me a real reason why Giberson would do these things. I would like to invite atheists to join me at St. Chrysostom’s Church in Quincy, MA — or whatever church is convenient — and spend a year doing research into what real life religious people are like — the people who are not in the headlines. You may be surprised to discover that we don’t all think the same. Some of us are cradle Christians with deeply rooted and unwavering beliefs. Some of us are new believers, wondering about our faith. Some of us are properly called agnostic because we have serious doubts — but doubts we prefer to explore from within the Christian community, rather than from outside. None of us are overly concerned about this lack of uniformity. All of us are concerned about our mutual need for community and we invest energy in making our communities strong and healthy. In the name of protecting Christianity from a secularism perceived as corrosive to the faith, the creationists are unwittingly driving the best and brightest evangelicals out of the church — or at least into the arms of the compromising Episcopalians, whom they despise. What remains after their exodus is an even more intellectually impoverished parallel culture, with even fewer resources to think about complex issues. So you see that the reason he spends so much time speaking about evolution is in order to bring people to Christ. Now, of course, I disagree with him. Nevertheless, I know what his real motives are because I have read him. Unfortunately, you have not, and as a result, you have no idea why he does what he does! How can process of elimination verify something to be true? You can only eliminate what is CURRENTLY known. At the time I thought that process of elimination merely shows that the other views are untrue, not that theism is true. Finally to get to the point…Isn’t this true with making rational decisions about the world? When you’re looking at the data you are using process of elimination to determine what is the best explanation for a phenomenon. Doesn’t this merely SHOW that certain explanations are wrong, not that a particular one is actually true? I mostly agree with you, Kendall. As you say, we can only eliminate what is known. It’s possible that none of the known alternatives are correct, and the truth is some as yet unknown alternative. I think the best Geisler can say is that by process of elimination, Theism is the only reasonable alternative we know. I also think your point about science is correct. Sir Karl Popper is probably the best philosopher of science who has lived in the past couple of centuries, and his main point is that science cannot prove anything. The only thing it can do is demonstrate what explanations are false. Even that, however, is tentative, because experiments can be deceiving. It’s possible that something which was once thought to be demonstrated false can turn out to be possible based on new evidence. At the same time, however, I do think there are ways of making rational decisions that are not based on the process of elimination. That’s where logic comes in. If you start with a set of premises, you can logically deduct what is true based on those premises. Of course, your premises might be false, but assuming your premises are correct, logic can produce rational conclusions that are not reached by the process of elimination. Switching topics for a minute. What do you think of this article? Does it have merit or has it been overblown? My understanding is it’s not quite what the media has made it out to be. Of course, creationists and IDists have prematurely jumped all over it to support their beliefs. I thought maybe there might be something to this but I may have been wrong. Any thoughts? Also, doesn’t this find diminish the idea that earth is a rare planet? It seems that water on exoplanets aren’t as rare as we thought. Does this pose a problem for theology if we find life on other planets? I think it does and it’s only a matter of time until we find it. I predict we will solve the origin of life once we do find them. Luis, I haven’t read the scientific paper on which that article is based. I do plan to read it and blog about it, so I will have more to say then. The one thing I will say is that the ENCODE project destroyed the nonsensical notion of “junk DNA,” so I would not be surprised if it has uncovered another facet of nature that demonstrates it is the result of design. I don’t think the presence of water on a planet does anything to reduce the fact the earth is an incredibly rare, most likely unique, planet. Water is fairly common throughout our solar system, so you would expect it to be common in other solar systems as well. There are a wealth of design features that make it clear earth was created specifically for life. So…if life is really the result of an “infinitesimally unlikely series of chemical reactions,” we should be stunned to find it even once in the universe. Finding it more than once in the universe would seal the case even more that life is not the result of chance. Thus, far from solving the utter mystery of a naturalistic origin of life, finding life on another planet will simply deepen the mystery further. However, if life is the result of a Creator, there is no reason to be surprised that it appears multiple times in the universe. When you review the paper, keep this quote in mind. this was found over at UD which is what put the doubts in my mind. UD is a very solid source when it comes to science, so I would expect that this an accurate description of the results. I will keep it in mind. I should have been more clear. This wasn’t an article at UD. It was a comment made by one of the readers of the article. I think that UD jumped all over this when it was released and one of the readers pointed out that it wasn’t exactly what UD thought it was. It could still be that there are two codes but they don’t work apart from each other as once thought. They work together but then again, I am a layman in all this. You’re definitely misunderstanding the current thinking, Luis. The current thinking is that protein-coding DNA deals only with the specification of proteins, while non-coding DNA deals with regulation. This research is supposed to show that the protein-encoding DNA also does regulation. If that’s what it shows, then it indicates that DNA is even more sophisticated than we thought. Luis, it turns out that creationists and IDists should jump on this study, because it shows yet another way that DNA is light years beyond anything human engineering can produce. This makes it even harder to believe that DNA is the result of random, unknown chemical reactions affected by some unknown kind of selection. Dr. Wile, I have read many of your blog posts and comments, and wanted to stop and comment (hopefully) briefly. I worked in a scientific occupation for years, and late in my life came to faith in Christ. I now also hold a degree in Religious Studies, so am reasonably well versed in science and theology. I am still finding my own place in the Genesis conversation, but having read into it on all sides, I am struck by the vitriolic conversation I so often see between Brothers in Christ when we disagree (read also, for example, the KJV debate). I wanted to thank you for standing–not only for your views on Genesis, which each should stand for and be able to defend their view appropriately– but mostly for your humble, logical, and loving defense of Christian LOVE being the highest order of business in debate between brothers. I wish you Grace and Peace through God our Father. Thank you HSal! That means a lot!